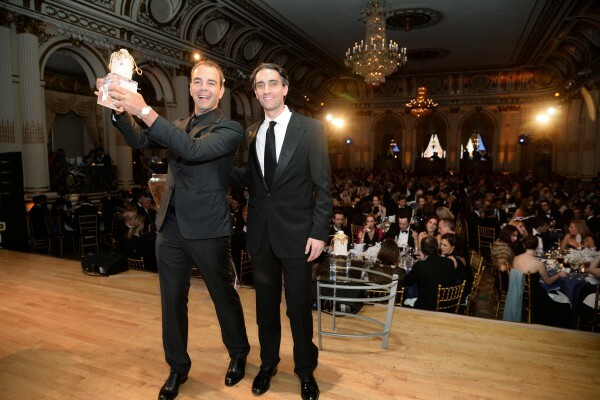 It was an honor to be awarded the Pilier d’Or by the FIAF on December 5 at the Plaza. Receiving the award was the culmination of an extraordinary year. In the FIAF’s words: “The Pilier d’Or recognizes a leading business figure, diplomat or philanthropist for outstanding contributions to the French-American community.” I was really surprised to be given the award. It’s historically been given to captains of industry. Last year’s winner was Carlos Ghosn, the CEO of Nissan-Renault. I am humbled that they chose a relatively young Internet entrepreneur. It was a privilege to be introduced by my good friend Jeremy Levine. Jeremy is amazing. He was in the office next to mine at McKinsey and was the lead investor and board member at OLX. Beyond being brilliant, modest and an all-around great guy, he’s probably one of the most successful, if not the most successful VCs of the past 10 years. Giving the acceptance speech made me reminisce on what it took to get there. Reading the one line version of my biography “Princeton, McKinsey, Zingy, OLX and investor in Alibaba & Brightroll” might make you think it was a long string of uninterrupted success, but far from it. My first startup failed. 12 years ago, I was essentially bankrupt, living in the office off of Ramen and fresh water. Most of my angel investments failed. Worse I witnessed the failures before the successes because it takes a lot longer to build a successful company, than to fail. Even OLX took years and multiple strategic pivots to get right. This award is as much a tribute to grit, tenacity, perseverance and good fortune as anything and I am truly grateful for how things turned out!